Columnist Martyn Cooke reflects on relegation and what the club now needs to do to reverse its demise. On 12th November 2016, Port Vale beat Fleetwood Town by two goals to one, a result that eased The Valiants into the League One play-off places and rounded off what had been a promising start to the season. There was genuine excitement amongst supporters at the realistic possibility that the club could be pushing for a top-eight finish – the prospect of promotion was still a world away and yet fans had been provided with an alluring sense of hope that something special might just be possible. Fast forward six months and a goalless draw against the same opponents confirmed that Port Vale would be plying their trade in League Two when they kick off the new campaign in August. From early promotion contenders to relegation – football is a cruel and unforgiving mistress – but in truth The Valiants have no one to blame but themselves. Since that victory in early November Port Vale have won just four of the twenty nine league games that they have contested. 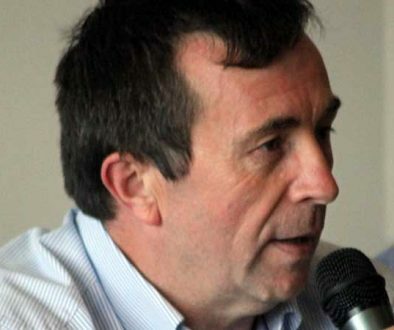 It is a damming statistic that reflects severe failings on the pitch, in the dugout and in the board room – relegation has come because of a culmination of issues. The root of Port Vale’s issues and ultimate relegation can be traced back to the summer and the appointment of Bruno Ribiero. The little-known Portuguese coach was brought in to replace the departing Rob Page and arrived having had limited experience or success as a coach. However, he was spoken highly of by a number of high-profile figures in world football, the most prominent being Jose Mourinho, and the general consensus amongst supporters was that it was a clear gamble – it was either going to be a masterstroke or end in complete failure, there would be no middle ground. It should be acknowledged that Ribiero walked into a club that had only a handful of first team players contracted for the season and he had to undertake an extensive, some might say rushed, rebuilding of the playing squad. There were 16 new signings made prior to the summer transfer deadline and 9 players made their debut for the club on the opening day of the season. In hindsight, it is clear that the Portuguese coach elected to bring in quantity rather than quality, something that undoubtedly came back to haunt him as his tenure came to an end at Christmas. Ultimately the continental gamble that Norman Smurthwaite took in the summer failed and, despite Ribiero’s revolution making a positive start, the Portuguese coach proved to be inept from a tactical and motivational perspective. Looking back, it was the deluge of goals from on loan Birmingham City striker Alex Jones that helped to paper over some of the cracks that were already beginning to form early in Ribiero’s reign. 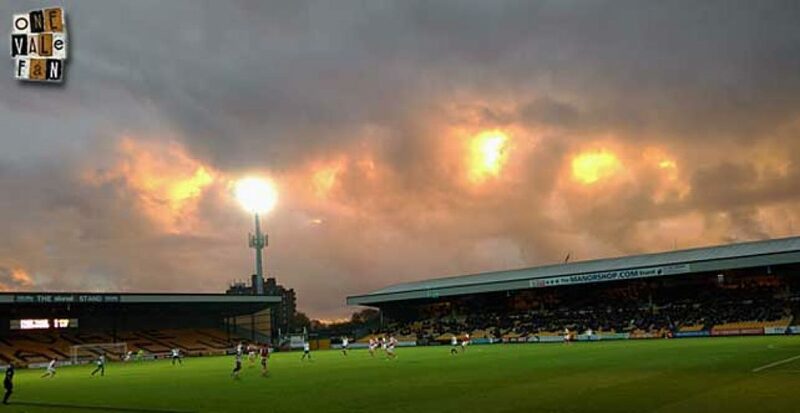 Port Vale’s campaign has been characterised by a number of failings and issues, but none more so than the club’s overall performance in both the summer and January transfer windows. Whilst the summer saw an large turnover of players with an obvious intention of bringing in quantity over quality, the January window was can be concluded as being little more than Port Vale committing footballing suicidal. The spine of the team departed with Alex Jones electing to join Bradford City despite his on loan success at Vale Park, Anthony Grant was allowed to join Peterborough United and Jak Alnwick was sold to Glasgow Rangers for a fee rumoured to be worth potentially upwards of £250,000. In short, the newly appointed Michael Brown lost his top goal scorer, last season’s player of the year and his only experienced goalkeeper. It was a dangerous strategy, especially with The Valiants starting to slide down the League One table, but it soon became something of a nightmare when it became apparent that their replacements would be a mixture of unknown reserve team players and out of favour aging individuals. Selling your key personnel and failing to sign adequate replacements was only ever going to end in disaster. To put the season into context, Port Vale have seen 29 players arrive since the summer and 21 depart – a turnover of 40 players. When Michael Brown was appointed as the caretaker manager following the departure of Bruno Ribiero in December the general feeling was that he would be a short term replacement until a more experienced figure was brought in. Unfortunately this failed to be the case and the forty year-old’s inexperience and naivety has seen him come up short and unable to save Port Vale from relegation. It is hard to be overly critical of Brown, the frustration of the supporters has tended to reflect this and be directed towards the chairman instead, but he must also shoulder a portion of the responsibility for The Valiants’ demise. Yes, he was dealt a poor hand to begin with which was only made worse by the departures of Alex Jones, Jak Alnwick and Anthony Grant during the January transfer window – but six wins during his 25 games in charge tells its own story. I suggested in January that Norman Smurthwaite should invest in an experienced manager to help guide the club away from danger and I suggested Lee Clarke –who had achieved relative success in League One with Huddersfield Town. Port Vale opted for the cheaper, easier route whilst Bury appointed Clarke in mid-February. It is no surprise which club has climbed to safety. Following relegation the club have moved quickly and decisively. 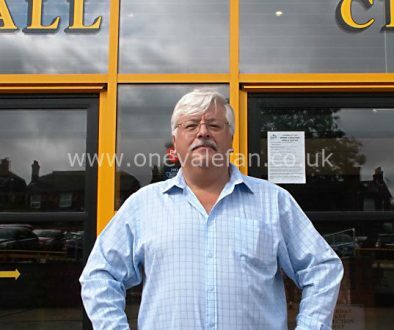 The resignation of Norman Smurthwaite comes as little surprise and although his apologetic statement is welcomed it all comes a little too late. The decision to hand over the responsibility of the day to day running of the club to Colin Garwick, who must now demonstrate his creativity, inventiveness and experience on the commercial side, and life-long supporter Tony Fradley is a positive step although the challenge that they have before them is overwhelming. In contrast, the appointment of Michael Brown as manager can only be described as being under-whelming. I have already provided a short critique of his time as caretaker but it is important that supporters give him the benefit of the doubt. With a full summer to build his own backroom team and playing squad there will be no excuses for the forty-year-old should he fail to have The Valiants challenging at the top-end of League Two next season. Brown’s priority should be to implement a clear and definitive philosophy for the club and a style of play that provide The Valiants with a sense of identity. My belief is that he should invest in quality rather quantity whilst being prepared to lean on the academy structure to fill out any additional numbers in the first team squad. 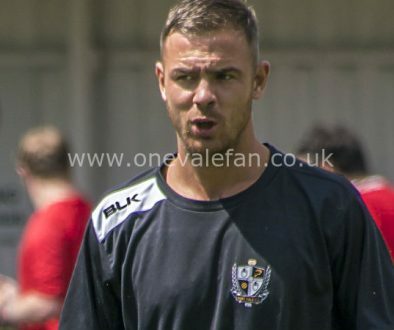 The futures of Nathan Smith, Remie Street, Chris Eagles, Jerome Thomas, and Ryan Taylor should be foremost in Brown’s mind, but if he could convince all five to remain at Vale Park then it will provide him with a solid base to build on. Finally, as has been the case since the start of time, Port Vale need to bring in a goal scoring forward. Off the pitch the club need to be more creative and inventive with their marketing and commercial initiatives. The price for admission needs to be immediately reviewed, and reduced, and it still remains my opinion that either the Bycars End or a portion of the Railway Stand needs to be closed on match days for financial and atmospheric reasons. Beyond that, the Port Vale Community Foundation needs to dramatically increase its activities and presence in the local community but this can only be achieved if they receive the full backing and support of the wider club. There is plenty of work for the club to do during the summer, both on and off the pitch, and the road ahead will undoubtedly be a bumpy and uncomfortable one. However, this feels like something of a fresh start for Port Vale and those working within the walls of Vale Park need to prove their worth over the coming weeks and months. Positive actions, both on and off the pitch, are the only way to re-enthuse the club’s fan base. Tony Fradley, Colin Garwick, Michael Brown – the ball is very much in your court.